I have bought yet another book by the talented Christi Friesen, Dragons. 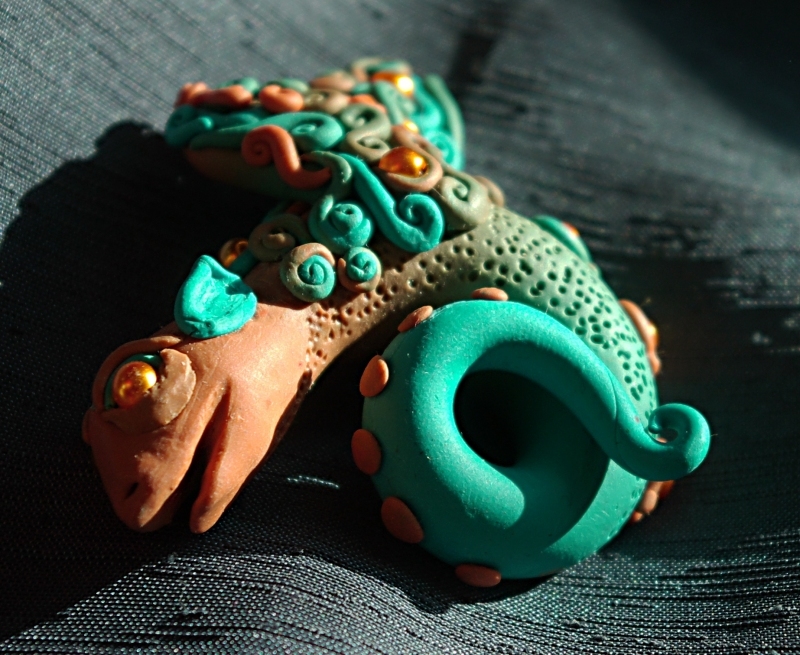 I promptly made my first attempt at dragon-making. This one here is the second one I made. All FIMO plus glass pearls. 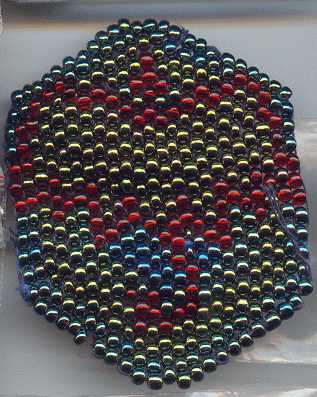 This is a peyote dragon, the same design used twice on different sizes of beads. 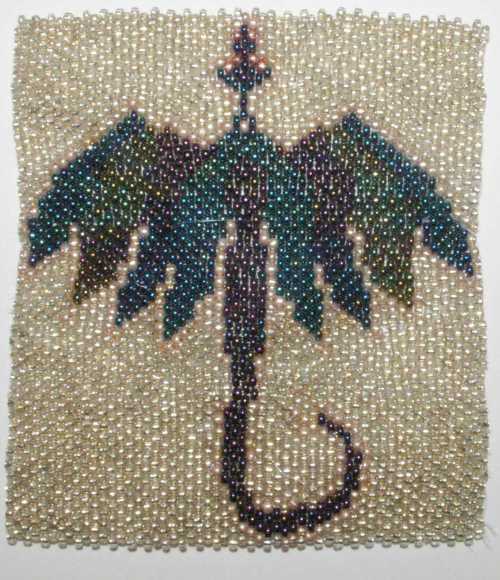 “Gold” background dragon is 2mm beads on a non-flexible, thin fishing line. Unfortunately, the “gold” rubbed away during the work, that’s why the outlines of the dragon (which were supposed to be darker than the background) are now invisible, which makes the poor creature look somewhat gaunt. Red backgroud dragon is done in 3,2mm beads, very regular and lasting, on thick and strong sewing thread. Makes it much softer in structure than the one done with the fishing line. Done as a birthday present for a friend. 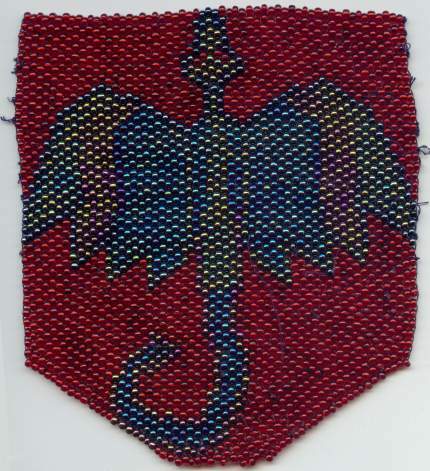 A small beaded picture of a dragon. My own design. Beads are “nonames”, 3,5mm.